My original idea was to combine these individual patterns into one, but for some reason, my Embird software would not let me do it. 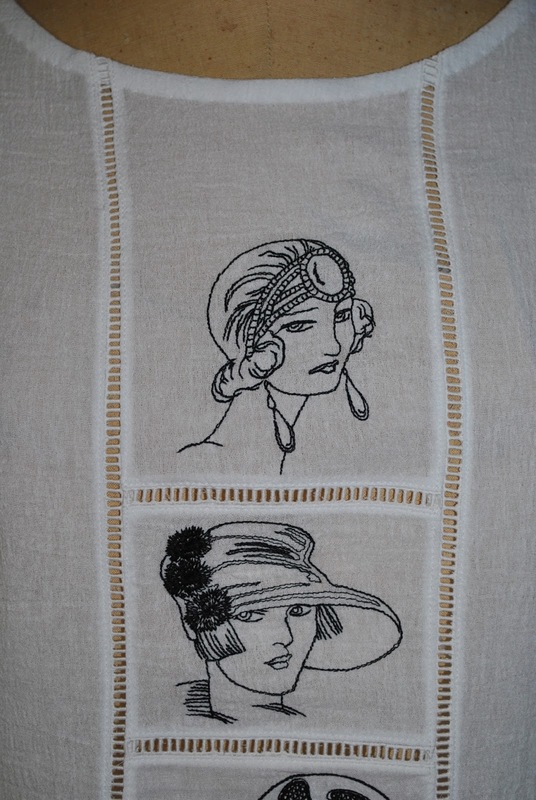 Or rather, all looked well on my laptop, but my embroidery machine would not recognize the combined pattern. 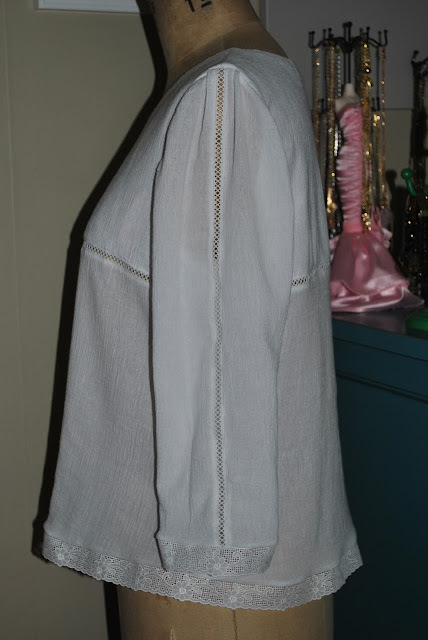 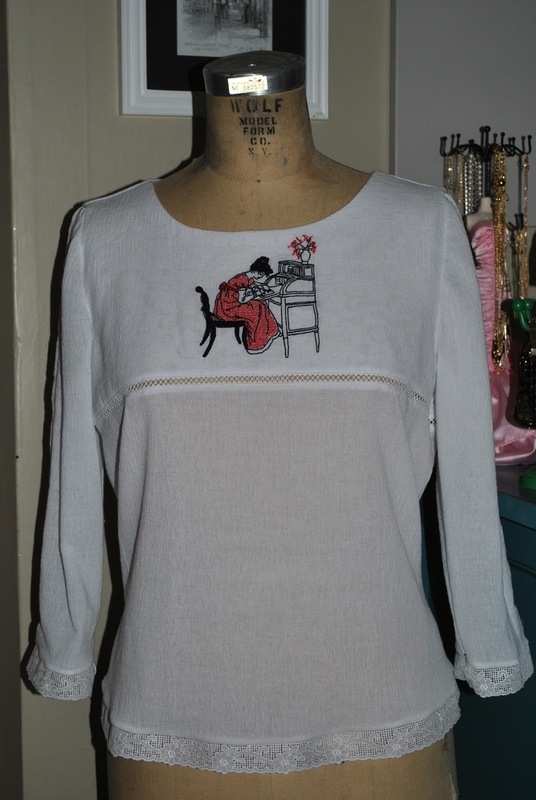 So, as a work-around, I added this cotton lace trim in between each individual embroidered piece. 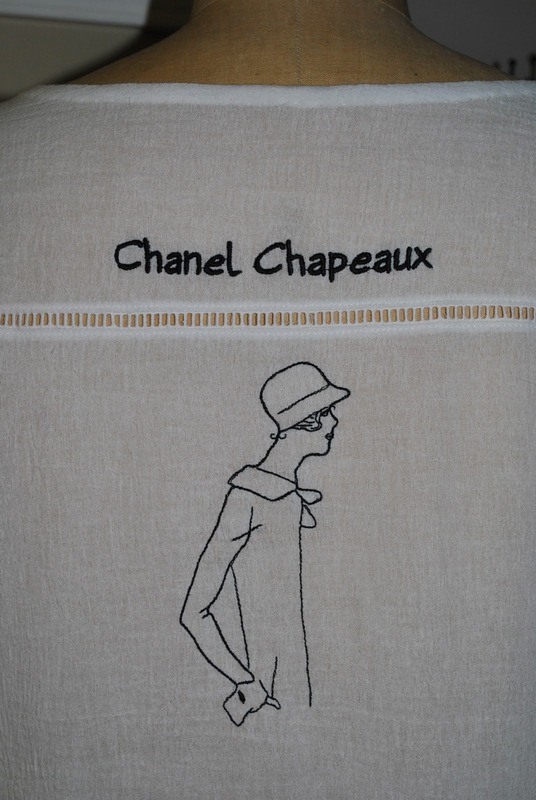 I don't speak French, so after a lot of asking around (thank you, Anna Feretti!) 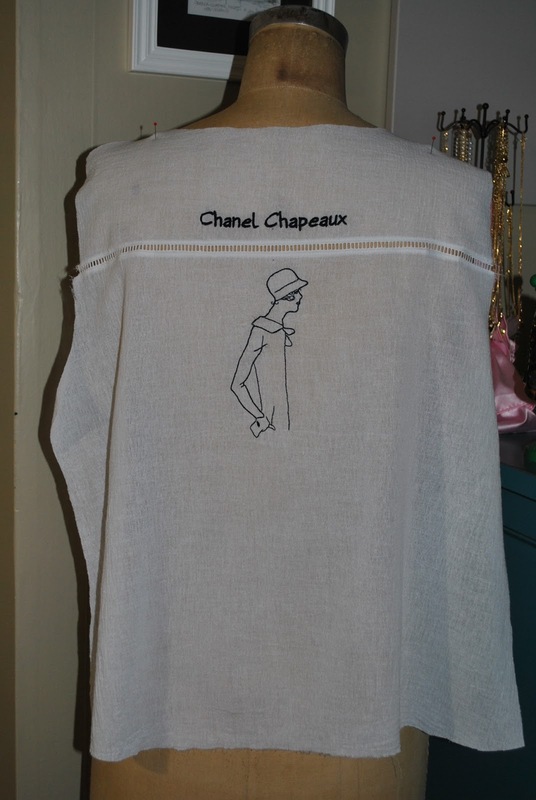 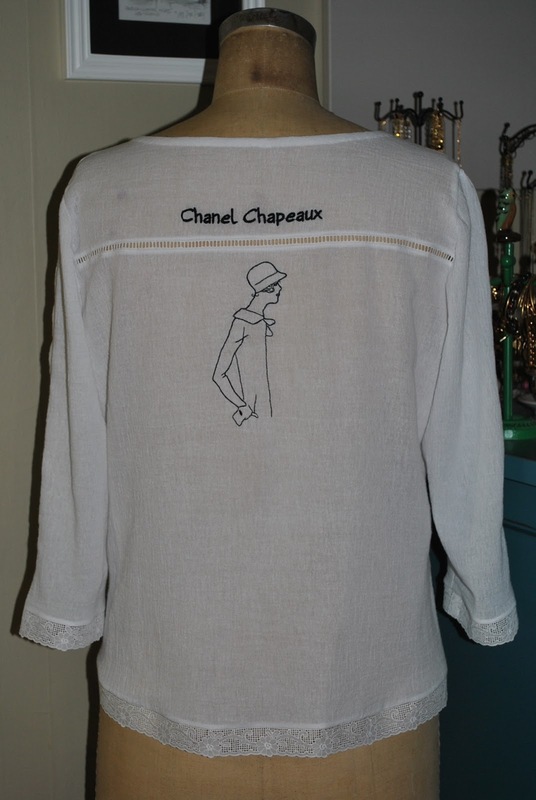 and Google Translate searches, I opted to label this top "Chanel Chapeaux" :) as in Chanel Hats. 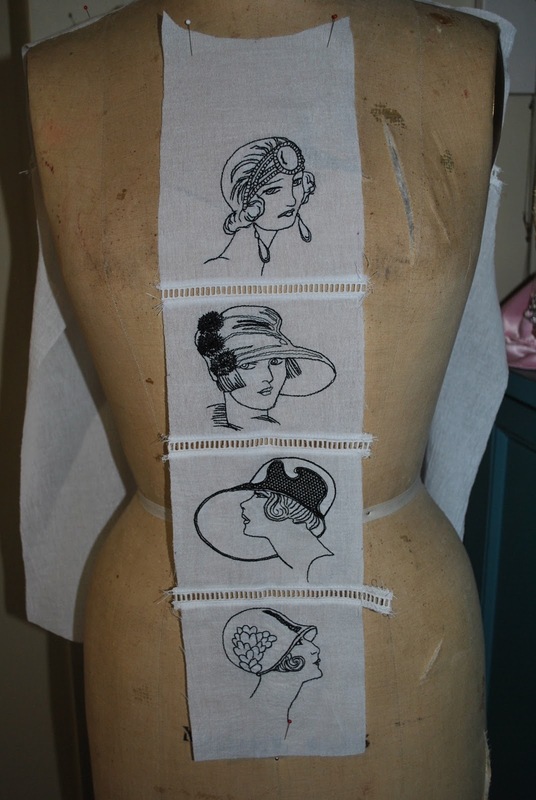 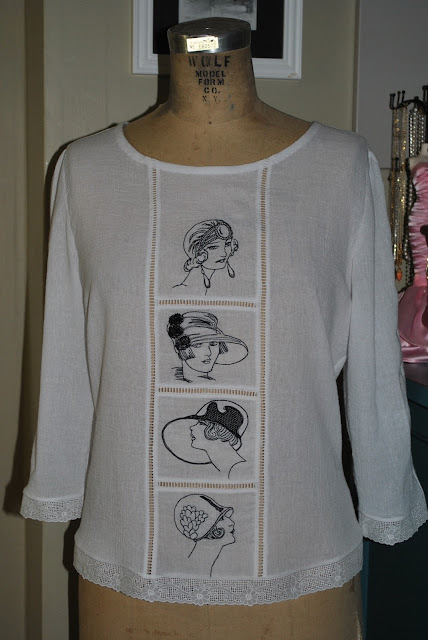 I got the idea for this blouse as soon as I first spotted this collection of flapper patterns, especially the last one that I placed on the back! 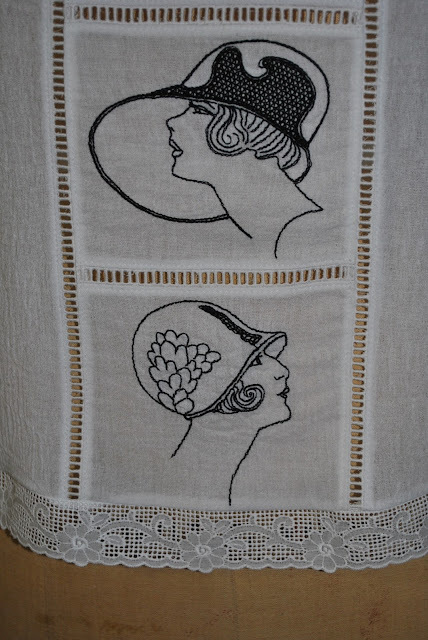 :) After all, Coco began her career as a milliner, designing hats in her free time when she lived as a "cocotte" with Etienne Balsan at his estate Chateau de Royallieu. 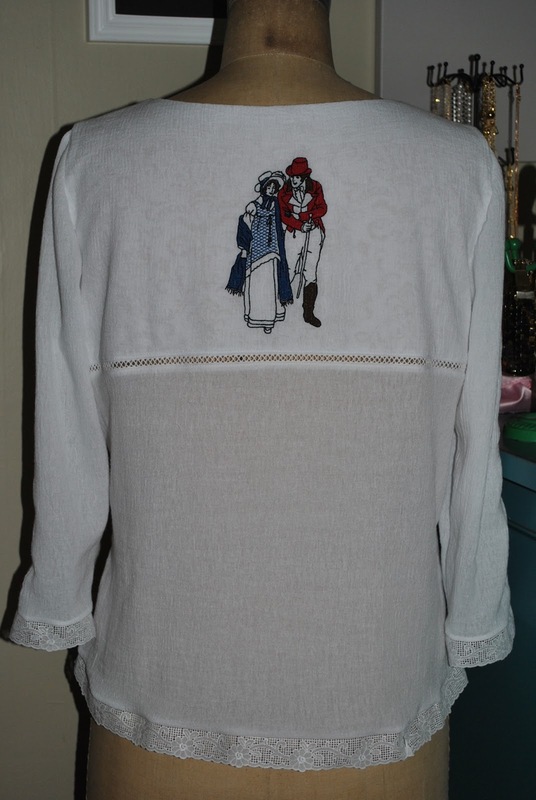 I might add: this is amazing what your embroidrey machine can do!